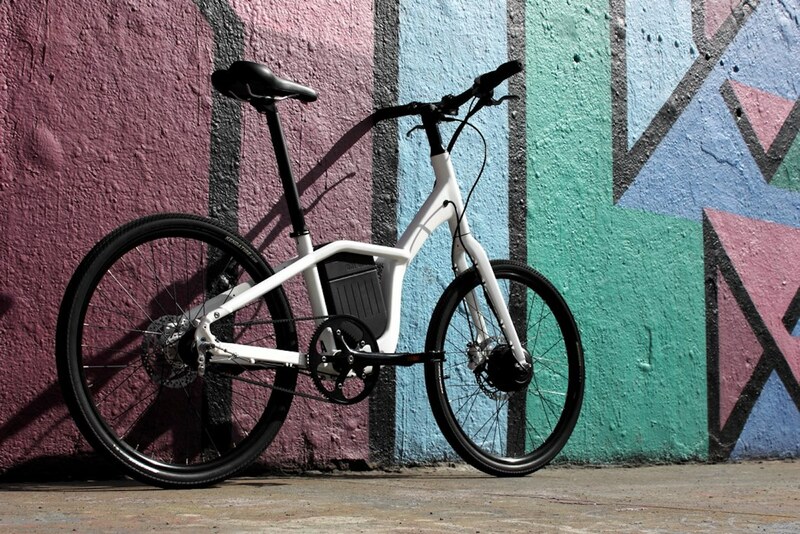 Weighing in at an impressive 15kg (33 pounds) the oh!bike features a sophisticated two-wheel drive system that delivers power to the front wheel based on the pedaling action and power output the rider is generating to the rear wheel. Specifically, the power generated by the rotation of the rear wheel is detected by motion sensors positioned on the pedals, which in turn communicate with the bike’s motorized drive system to apply the requisite amount of power assistance to the front wheel. To balance the bike out, the battery is positioned in the center of the frame just above the pedals, sending “juice” to the oh!bike’s 250W motor. Ride in eco-mode, and the bike gives riders a light assist, or switch to power-mode for a boost of up to 40%, helping them on tougher terrain, or when traveling uphill. 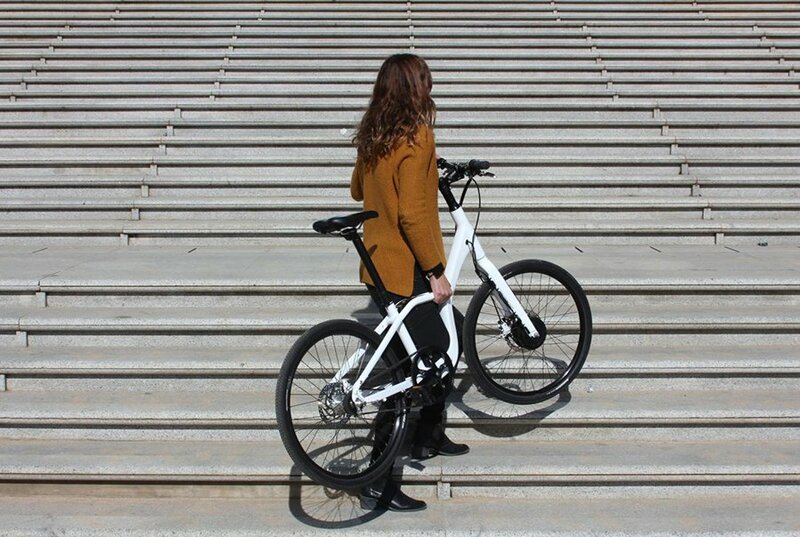 Designed in Barcelona, the oh!bike features foldable pedals and a rotating handlebar that lets riders stow it in the smallest of spaces, along with a detachable battery that is charged via a USB plug, allowing them to top-off a charge either at home or on the road. 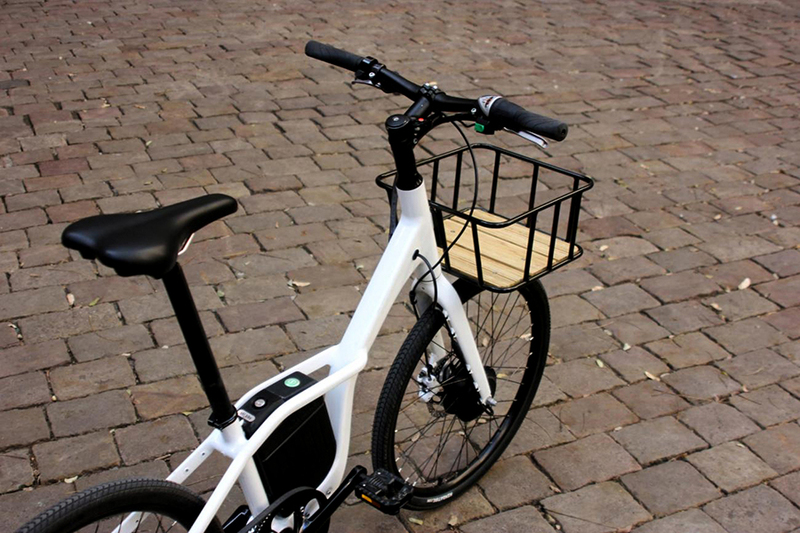 In addition, a simple black-and-white design makes the oh!bike well-suited for fitting into the colorful cityscape. 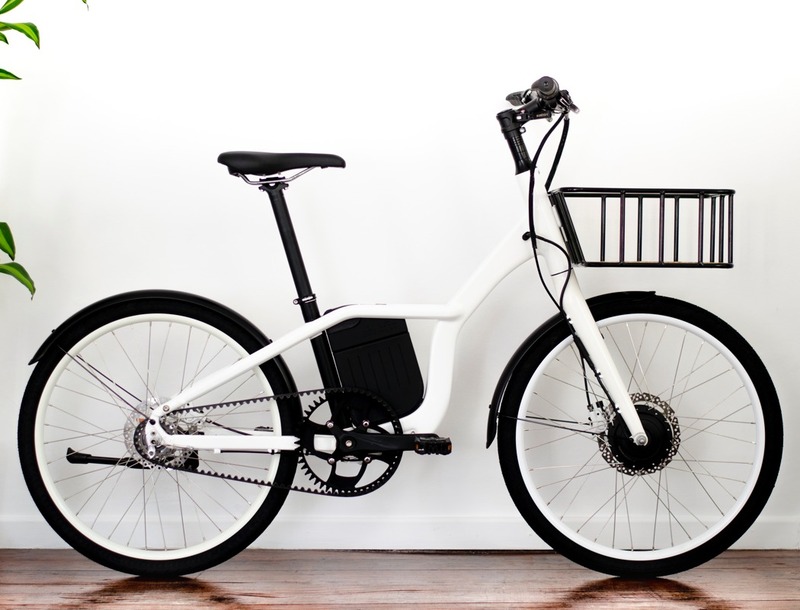 The designers of the oh!bike have undertaken a crowd-funding campaign on Kickstarter, offering special incentives to early backers that you can learn more about here.